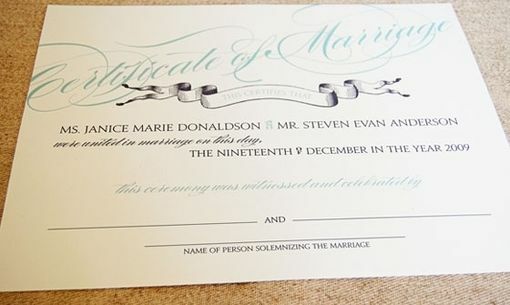 Custom Wedding Certificates are amazing keepsakes to keep as a reminder of your special day. They can be ordered in a wide range of colors to match your wedding day design or even your home decor. All of the certificates are printed on 100% cotton paper with Archival Inks. 13" x 10"